Before buying your retirement home consider its resale value because often times retirees will buy and sell multiple homes after retirement. This is what we hear and what we read in AARP as well as other publications targeting the 55+ population. But, is it a reality? Do Baby Boomers buy one home in which to retire and stay put for the rest of their lives? Some do but not all. We have been surprised by the number of retirees who are on their second or even third “retirement” home. It can be rather expensive to buy and sell multiple homes after retirement. Between closing costs, the costs of all the little extras like window treatments, blinds, lighting fixtures, custom paint, landscaping, and more, a buyer could be talking about a significant amount above and beyond the original cost of the home. But life does happen which may require a home change. In case you end up wanting, or needing, to sell your retirement home within a few years, what is our best advice? And what do we mean by this? Let me give you an example. One of my agents was working with a buyer I’ll call the Smiths a few years ago. The Smiths were looking at new communities “East of Route 1” in Coastal Delaware. After months, the Smiths decided on a very desirable community and began the process of selecting the model plus choosing all the options and upgrades. With the help of their agent, the couple painstakingly worked their way through the long list of things they could do or not do and balked at some of the costlier items. “I don’t need the gourmet kitchen,” was Mrs. Smith’s comment when reviewing which enhancements to include in their new home. Depending on the builder, a gourmet kitchen can add as much as $16,000 to the price of your home. We as agents understand this. What the Smiths failed to recognize is if they were to end up selling this home in this community and it did not have a gourmet kitchen, their otherwise well-maintained home might not sell. And, if it does sell, it most likely will sell for a lot less money. It’s important to remember that the house you buy should match the neighborhood you’re in. Even a custom home on a main road into town probably does not need a gourmet kitchen but a home in a high-end community, targeting Baby Boomers and active retirees, really does. You don’t want to go way overboard. You don’t want to be too far below. You want to be right in the sweet spot of that community. With some guidance from your Active Adults Realty agent, we can help you find that sweet spot. Then, should the time come that a retirement home change needs to be made you will get the best and highest value possible. National statistics say that on average, retirees will buy and sell three homes while in retirement. Let’s recognize, things can change and be smart when purchasing a home. 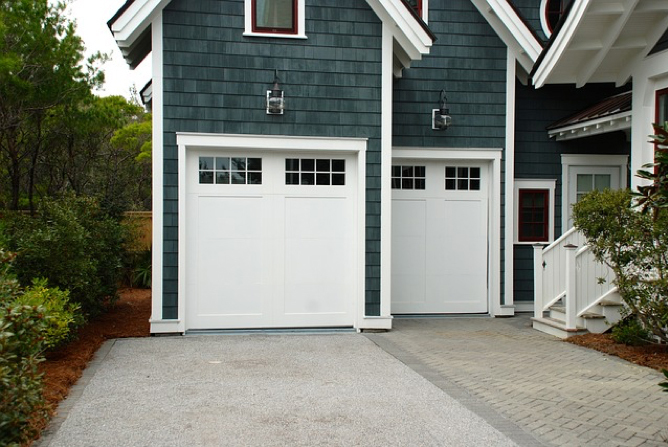 Curb appeal is important but the most important upgrades are made inside the home. Choose items which would be difficult and costly to change after the home is built. If offered by the builder, consider extensions or bump-outs. A screened porch or a sunroom may have a higher value to prospective buyers than a deck or a patio—both of which can be more easily added later. Get in touch with us early in your process. Contact Active Adults Realty when you first start to think about buying your retirement home in Delaware. We will start by helping you determine the right location and community. Should new construction be the way you decide to go, we will stay with you every step of the way which includes being there at all those decision points as your guide and sounding board. Most importantly, we will help you make a sound investment so whatever the future brings, you will be prepared. If you think another retirement home in Delaware may be in your future or you simply want to keep in the loop with what’s upcoming be sure to subscribe to our Neighborhood and 55+ Community Update newsletter. This focuses on all of the various new home and 55+ communities in Delaware (and there are a lot). Readers will learn what’s new in those communities (new clubhouses, new phases, etc. ), read a feature article focused on buyers plus see a few featured listings. There’s even an Agent Spotlight to highlight an agent from our office. Sign up today!